At The Cap IV Group at Morgan Stanley, we are a dedicated team of financial professionals who share the common goal of providing outstanding advice and service, while helping our clients achieve their specific wealth management goals. We seek to accomplish this through the development of long-term relationships with you and your family, and by continually aligning your goals and values with your personal financial plan. Our commitment is demonstrated through four core principles: I. A Team ApproachII. A Deep Passion for Helping PeopleIII. Our Disciplined ProcessIV. World-Class Solutions in a Boutique SettingAs seasoned professionals, we are committed to helping you protect and grow your assets, while empowering you to spend less time worrying about your finances and more time doing those things that matter most to you. We know how hard you are working to achieve your personal and financial goals and will work even harder to help ensure your wealth will lead to continued prosperity for you and generations to come. 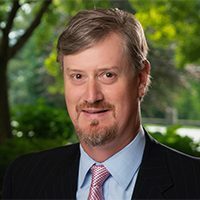 Chris Sigmund is a First Vice President, Senior Institutional Consultant, Financial Advisor and founding member of The Cap IV Group at Morgan Stanley. With more than 25 years of investment management experience, Chris creates comprehensive wealth management plans and provides customized solutions for high net worth clients, families and institutions. In 1991, Chris began his career in New York City as an institutional fixed-income broker and trader. In 1995, Chris joined Smith Barney in Washington DC as a Senior Institutional Consultant/Financial Advisor. In 1999 he moved to Nashville with his wife Kim (a native of Nashville) where he continued to work at Smith Barney. The team left Smith Barney and joined Morgan Stanley in 2007. Chris learned from his experience as institutional broker and trader, the importance of remaining objective and to control one’s emotion’s when investing. This has become an underlying principle of Chris’ investment philosophy and one that has helped his clients cope with the periodic – and sometimes wild – swings in the market. When it comes to risk management, Chris is just as focused on helping protect his client’s wealth as he is on helping grow it. Chris takes financial courses regularly to maximize his potential in serving his clients diverse needs. He holds Certified Investment Manager Analyst (CIMA®) designation, administered by the Investments and Wealth Institute and taught in conjunction with the Wharton School at the University of Pennsylvania. Throughout his career, Chris has made time for giving back to others. He has been an active community member and has held board and advisory positions on several endowments and community organizations. When he’s not working with clients or volunteering his time, you can find Chris spending quality time with family and friends. In his leisure time, he enjoys playing golf, tennis, mountain biking and learning guitar. 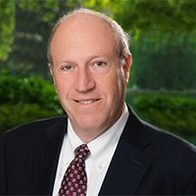 As a First Vice President, Financial Advisor and founding member of The Cap IV Group at Morgan Stanley, Bob Gordon has more than 27 years of wealth management experience helping meet the financial goals of high net worth individuals and families living in Nashville and the surrounding areas. His areas of concentration include alternative investments, as well as legacy planning using trusts. He also has significant knowledge in helping investors who have concentrated stock positions and employee stock options. A Nashville native, Bob joined Morgan Stanley in 2007 after working at J.C. Bradford and Smith Barney. He earned his B.S. degree in Business Administration from the University of Florida. Bob takes great pride in his ability to take complex financial concepts and effectively communicate them to his clients using simple language and easy-to-understand analogies. All too often, fear tends to drive financial decisions, becoming a major reason why many financial plans fail. Bob focuses on educating his clients to help them go beyond the noise to stay focused on their plans and goals. He advises clients to help maximize growth potential, protect wealth and reduce tax liability by maintaining a detailed understanding of the many investment options available and strategically helping match them to their specific needs. When Bob isn’t serving the financial needs of his clients, he is involved in many civic and nonprofit organizations. Currently, he is on the Board of The First Center for the Visual Arts and the University School of Nashville. Bob lives in West Nashville with his wife, Julie, and their three children. In his free time, Bob enjoys travelling, art history, and spending time with his family. 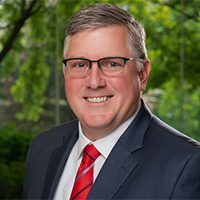 As a First Vice President, Financial Advisor and founding member of The Cap IV Group at Morgan Stanley with more than 18 years of industry experience, Lee Burklow provides highly customized advice to corporate executives, entrepreneurs and multi-generational families. He works closely with the Group’s clients to help ensure their goals and objectives remain current and are being met. Lee’s comprehensive approach includes a thorough planning process and a commitment to providing outstanding service and advice. Lee began his career as a Trust Officer at First American Bank before joining Smith Barney (now Morgan Stanley) as a Financial Advisor in 1997. Over the years, he has gained significant knowledge and understanding of trust services, how to effectively direct the estate planning process, educational funding opportunities, and access to sophisticated cash management and lending services. A graduate of Freed-Hardeman University, with a Bachelor of Business Administration degree with a concentration in Finance, Lee was a four letterman and three-year captain of the University’s Mens basketball team. Born and raised in Hohenwald, Tennessee, Lee currently lives in Brentwood with his wife, Cayce, and their four children, Bo, Frances, Gray and Ty. He is an active member of his community while serving as a Board member of the Crieve Hall Youth Athletic Association. In his leisure time, Lee enjoys coaching youth baseball and basketball, as well as hunting and fishing. 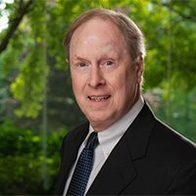 With more than 45 years of experience in the financial services industry, Meredith Caldwell III has dedicated his entire career to gaining a deep knowledge and global perspective of the financial markets, so he may educate his clients about their investment portfolios. He listens carefully to his clients’ goals, values and concerns and works tirelessly to make a difference in their lives by providing comprehensive wealth management services with passion and integrity. Meredith began his career in financial services in 1970. Over the years, he has had the privilege of working with several regional and global financial services firms, including J.C. Bradford, PaineWebber, Equitable Securities, Lehman Brothers and Morgan Stanley. 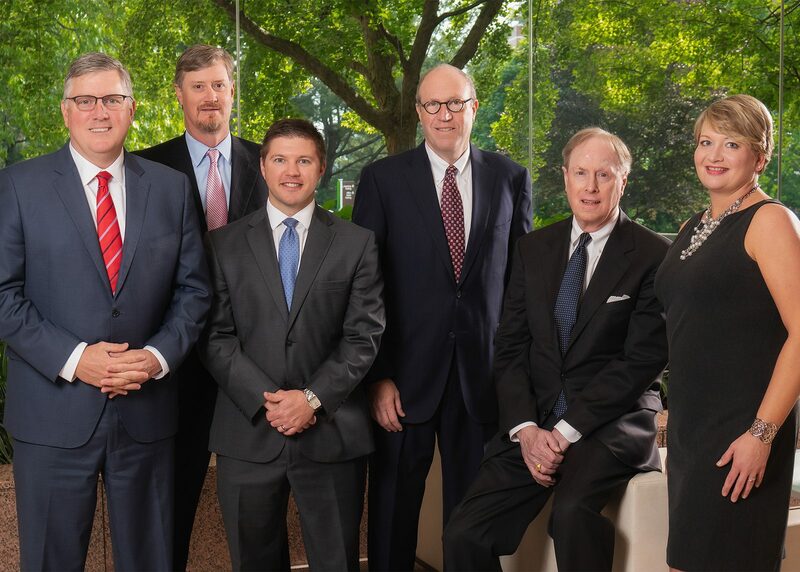 In addition to serving as a financial advisor, he has had the opportunity to hold several leadership roles, including Principal, Managing Director, Branch Manager, as well as being privileged to be a former president of the Nashville Securities Dealers Association. 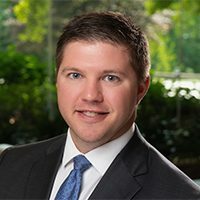 This collective experience provides Meredith with a diverse set of skills and knowledge to help him guide and advise his clients in achieving their personal and professional financial goals. As a Senior Vice President and Senior Portfolio Manager at Morgan Stanley, Meredith is well versed in the equity and fixed income markets. Over the years, he has developed skills in portfolio management. By advising his clients on how to effectively help grow, protect and transition their wealth, he has earned the reputation of being a valued member of their financial family. He takes great pride in helping his clients oversee and manage their finances, so they may enjoy the wealth they have created. A native of Nashville, Meredith enjoys living in his hometown with Barbara, his wife of 47 years. They have two grown children, who live in Los Angeles. In his leisure time, he enjoys golfing, tennis and spending time with his family on the West Coast. 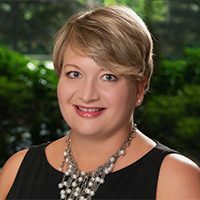 A Nashville native, Shelly began her financial services career in 1998 as a member of the operations department at Smith Barney, a predecessor firm to Morgan Stanley. In 1999, she became a Client Service Assistant, and after honing her client service skills for two years, she joined The Cap IV Group in 2001. In addition to having many years of experience in her position, she has a high level of professional training. Since 2003, she has been fully registered with the Financial Industry Regulatory Authority (FINRA). Shelly is a computer savvy individual and a valuable technological resource to clients. As more individuals have turned to the Internet to obtain information about investing and their accounts, she has kept pace with technological advancements to help better serve them with easy-to-understand answers to their questions. Whether youd like to learn how to view your brokerage accounts online, download accounts into your personal money management programs or deal with a more complex technological issues, Shelly will take the time to walk you through each step of the process. Shelly lives in Hendersonville with her husband, Bobby, and their sons, Noah and Nate. When she isnt helping clients meet their needs, she enjoys antiques, gardening, and spending time with her family. In an industry where the only thing certain is uncertainty, Chris believes in providing a consistent, unmatched level of service to your needs. While his primary responsibilities include performance reporting, client transactions, and many other initiatives of our team, servicing your needs is his top priority. Chris began his career in the healthcare industry and has over 12 years experience in finance and operations. In 2016, Chris joined Morgan Stanley as a Client Service Associate and then, in 2018, joined the Cap IV Group as a Registered Associate. A 2006 graduate of the University of Tennessee, Chris earned his Bachelors of Business Administration with a concentration in Finance with collateral studies in Logistics. He and his wife, Christine, and their daughters, Annalise and Poppy, live in their hometown of Dickson, TN with their dog, Jet. During his spare time, Chris enjoys supporting his alma mater with family and friends and is also an avid outdoorsman. Ready to start a conversation? Contact The Cap IV Group today.